Create and elegant and modern outdoor dining set with the outdoor 51″ Blok concrete rectangular dining table and two of our most popular Prego chairs. The warm tones of these two materials are unexpected and stunning. 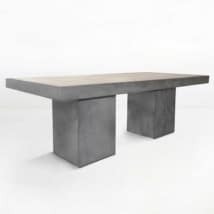 The Blok concrete rectangular outdoor dining table is a wonderful table for your outdoor space. 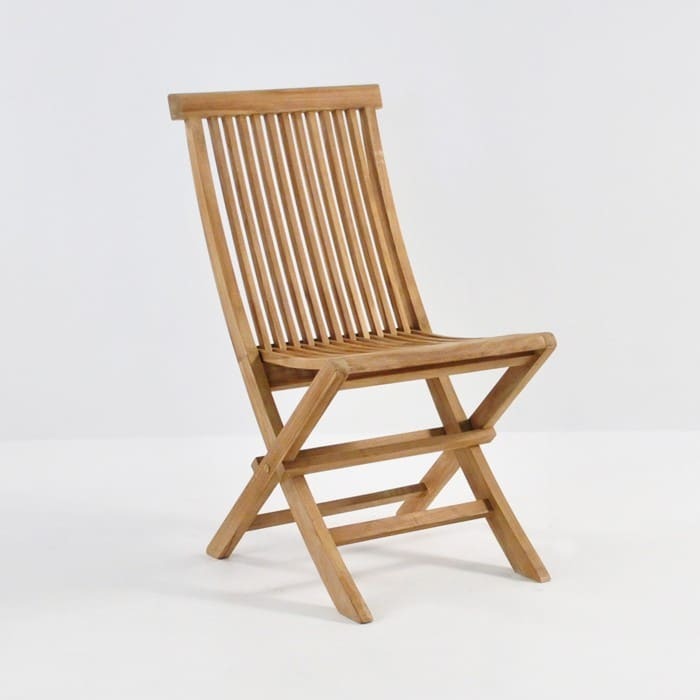 It clearly makes a statement, yet also smoothly blends in with any natural environment. 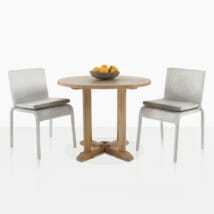 It easily seats two people for an intimate dining experience. Even if you only have a small outdoor space or balcony it is always nice to dine outdoors under the sun. 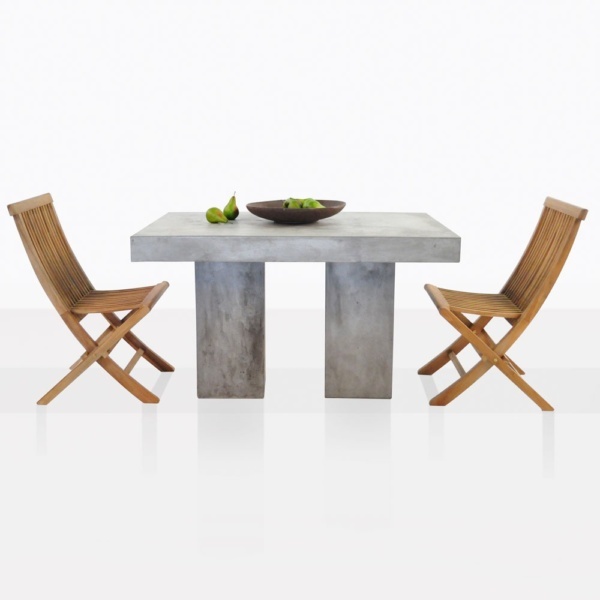 We have paired the outdoor concrete table with two Prego chairs. 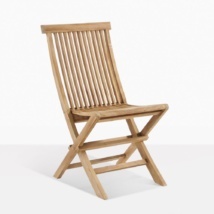 The classic teak folding chairs go with many different dining tables. And if you do have a small space they easily fold for storing in the cold weather months. We show the table with one our rustic home décor bowls, which is sold separately. You can see how easy it would be to decorate with different materials and colors. We recommend that you keep your outdoor furniture clean to keep it looking its best for many years to come. 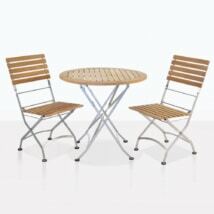 Have a look around at our other outdoor dining sets. It is fun to mix and match materials for a unique look that can be all your own. Call or email us today if you have any questions.